Hi there, did you cut the counter a little more so the cover had somewhere to sit? 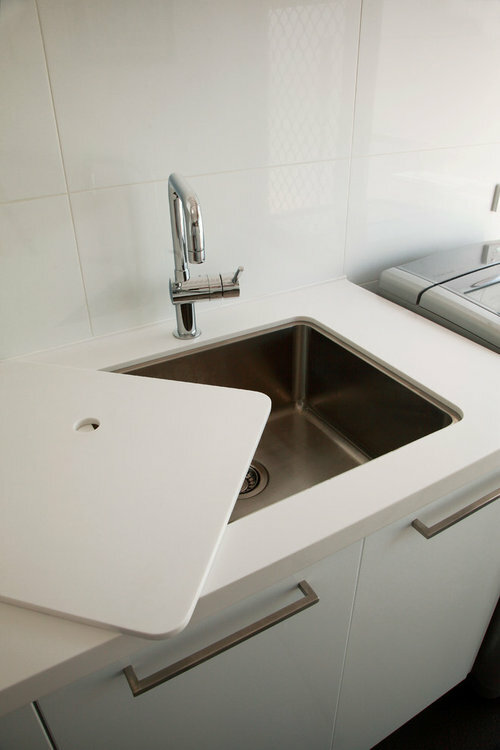 It is common to have some of the sink lip exposed when a sink is undermounted, so this is perfect for sitting the lid on. We had the bench top recessed a little from the sink, as in your photo, to prevent potential damage to the stone, and to allow the covers to fit properly. I think it works well. What brands did you use in this design? Faucet? Sink? counter tops? and cabinets? How to fix up laundry sink? No sink in laundry bad idea?